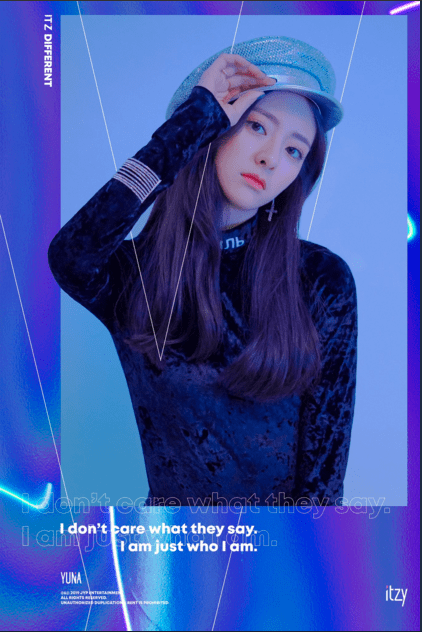 ITZY have finally dropped their last (but certainly not least! ), team member Yuna’s individual image teasers, and they don’t disappoint! The first image followed the techno-pop theme and had Yuna resting on a pink couch accentuating her doll-like figure, holding two cassette tapes. Yuna looks up innocently with a slight pout, in the second shot, that complements the soft blue tones in the background. Yuna caught the attention of viewers when she appeared on MNET’s reality show ‘Stray Kids’. She’s since also made herself known to BTS’ fans ARMY, after starring alongside Jungkook in their highlight reel ‘LOVE YOURSELF’. Watch Yuna in the BTS highlight reel for ‘LOVE YOURSELF’! What do you think of Yuna’s individual image teasers? Are you ready for ITZY’s debut? Keep following Officially Kmusic for the latest in new music!